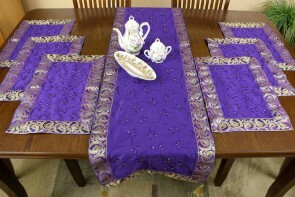 Decorate your dining tables, night tables, end tables, dressers, and any tabletop with our unique and elegant 7-piece, 6-piece, 5-piece, and 4-piece placemat sets. 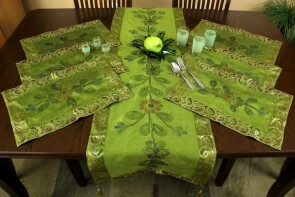 Choose from our vibrant color combinations and create the perfect style to match your surroundings. 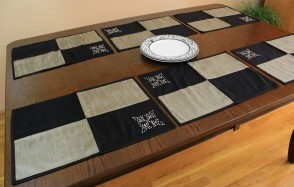 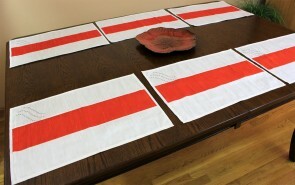 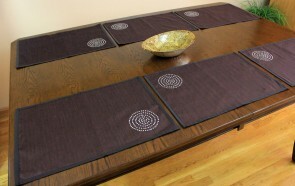 In addition, you will also be providing great care to your table tops since these placemats protect them from dust. 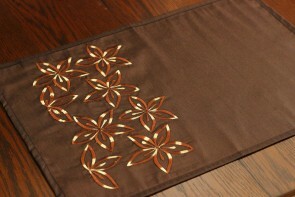 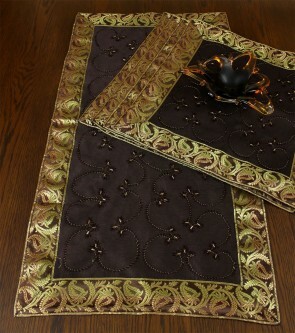 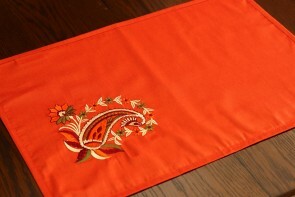 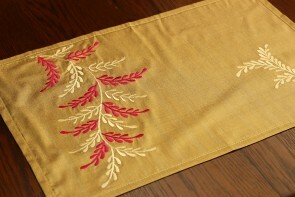 Banarsi Designs’ placemats are composed of dupioni satin, cotton, and polyester fabrics. 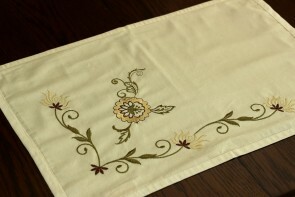 Explore our placemat collection and find one of a kind floral embroidered and hand painted colorful styles and vibrant designs.